A common misconception blames Turkish nationalism as the cause of Armenian massacres in Turkey; however, Turkish nationalism did not exist before the 1920s and sometimes Ottoman nationalism is confused with Turkish nationalism. 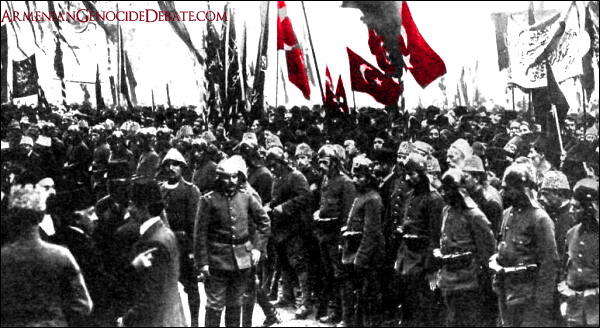 Starting in the 1920s, Turkish nationalism was founded upon the determination of the Turks to survive World War I. The Sevrés Treaty and Sykes-Picot agreements were part of the Entente Powers' & their Anti-Turkish Nationalist allies' plans to divide the crumbling Ottoman Empire. As a response to Anti-Turkish Nationalism that had begun to ethnically cleanse Anatolia, Turks united behind Mustafa Kemal Ataturk to defend themselves from utter destruction, brought upon various rebellions in the Ottoman lands and the Entente powers marching their armies across Anatolia guided by hundreds of thousands of local non-Muslims sick of Ottoman rule. When it was Ottoman land, the Entente powers and their local allies fought side by side. After the Bolshevik revolution, Russia had to retreat. After World War I was settled, the British and French retreated knowing they don't want to prolong world war I and broke their promises of rich kingdoms carved from Ottoman land to the local non-Muslims. Ataturk and the Turks of course, had an easier time fighting rebels rather than consistent pressure from European powers. I want to point out, that nationalism is not rational or reasonable. It is by definition, irrational. It is emotion-based, created usually by the rulers to keep solidarity and unity of a nation. Its goal is to unite people for a cause, and it is a motivator. Just like religiosity. This is very important when understanding human history. It is plausible and very likely, that Ataturk understood this, so instead of implementing a sense of superiority in Turks over other nationalities, Ataturk promoted inclusiveness and unity. He told people to forget their ethnic groups/religious-identities and previous grievances/hatreds or other revenge-feelings over World War I. He wanted a clean slate for the Turkish people. He wanted different ethnic and religious groups to unite without bickering with each other. I believe the United States did a great job of this later in the 20th century, but Turkey has always had war and so this was not as easy. Ottoman nationalism was an attempt by certain members of the Committee of Union and Progress (Young Turks) to unite the empires’ peoples to fight off the enemies of the empire. The problem was there were too many ethnic and religious groups within the Ottoman Empire that really did not care much about the Ottomans. Why should they care for Ottoman unity? Why would non-Muslims support Ottoman Islamic rule? Sometimes Ottoman Nationalism is confused with Turkish Nationalism and Armenian authors love to reference any hint at Ottoman Nationalism as a motivation or source for "exterminating Armenians." The issue here is that while the Ottoman Empire is the sick man of Europe trying to save itself from extinction by making attempts at Ottoman-unifying feelings of solidarity, as well as getting the Caliph to issue fatwas against the British in hopes that Arabs will stop rebelling against the Ottomans and unite with Ottoman armies, it was not really interested in suppressing or oppressing anyone. The Ottomans faced dire extinction. They needed all the help they can get. They had for a time recruited many Christians into the army as conscripts to help fight against the European powers (until they started deserting and taking weapons/ammunition with them). Thus the Ottomans learned a hard lesson in loyalty, and decided that Christians can't always be trusted with weapons. Everyone acted rationally in that case. 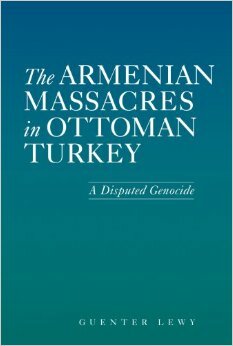 The Armenians rebelled, because they were sick of Ottoman rule. They collected weapons, they stole them from the Ottomans, they sabotaged their war effort. It made total sense if you desired to create an Armenian state. They were right to do so. But the Ottomans were also right to suppress those rebels and not trust the Armenians. They were right to try and keep their empire together (unless you believe empires to be immoral), but they were right in the sense of preserving their empire and their own survival. The CUP wanted to unite the empire, but they did not intend to rid the Ottoman Empire of its Islamic Empire status. The CUP could not possibly rid the empire of its conservative thinkers or religious people. Instead of replacing Ottoman Islamic rule, Islamic systems and schools, they simply added new European systems alongside the old, because they knew how easily Sultans and Ottoman governments have been overthrown when radical reformers took power. The Ottomans saw how quickly nationalistic feelings spread in the Balkans. The Armenians saw how successful nationalistic rebellion was against the weak Ottoman Empire that is right in the midst of also fighting a World War. Can you imagine a better chance to carve out your own nation? This isn't to say that Armenians were wrong to do so. No, if they felt oppressed, then they had every right to rebel. But if the Ottomans felt their power threatened then from their perspective they did what was necessary to preserve their empire, and that is to stop rebellions. This was not abnormal or irrational for any empire to do. Ridding the empire of Christians would have only fueled the Christian Nationalism that was growing in the empire and increase European Powers using imperialism and nationalism to destroy the empire. One has to only read the Tehcir Law (Relocation and Immigration Laws) that relocated Armenians in Eastern Anatolia to understand the intent of the Ottoman government. The Tehcir Law was the most primitive solution of any government to silence future revolutions as a quick and hasty response to Armenian rebellions such as in Van during war-time. Mr. Dadrian and other pro-Armenian-Genocide authors usually claim that Ziya Gokalp, who had also been a member of the CUP Young Turk government, was responsible for Turanism and thus helped the CUP "set the philosophical base for the eradication of the Armenians" according to Haigazn Kazarian, an Armenian scholar. The reality is Ziya Gokalp only talked about Turanism in his poem Turan and book The Principles of Turkism, in a very non-political manner. His philosophy according to all interpreters of his work is completely based on Turkish culture and language rather than political unity. Ziya Gokalp talks about Turkish nationalism as a "sharing of education and culture." Gökalp's theory of nationalism was radically different from other nationalisms at the time. He believed that one became part of the 'Turkish Nation' "through education in its values, not through 'blood' or 'spirit'." His theory was not racialist. In effect, one could say, everyone who wanted to be part of the Turkish nation could do so. It required willpower and education, not having ancestors with the right skin color. Ziya Gokalp’s writings may have influenced certain Ottoman readers, but the exposure was very limited and would have certainly been rejected by Ottoman leaders because of the urgent problems all over the empire that took precedent. 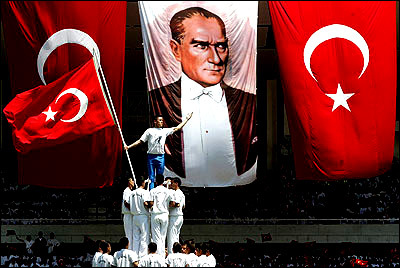 Turkish Nationalism started mainly in the 1920s, beginning with the Turkish War of Independence. The Greek Republic’s invasion in the Western Turkey supported by the British, and the Armenian Republic’s invasion of Eastern Turkey supported by the Russians, the Armenian Legion’s invasion of Southern Turkey supported by the French until the extermination of Turkish civilian population was noticed by the French and the legion disbanded, had all contributed to forced migration of Turks to the center of Anatolia and the development of Turkish Nationalism based on self-defense and fear of extermination. The destruction of Turks was the worst human tragedy of World War I. A U.S. investigation by Arthur E. Sutherland and Captain Emory H. Niles was recently declassified by the United States National Archives. The report tells a gruesome story that was detailed by Mr. Sutherland and Captain Niles in Eastern Turkish provinces right after World War I in August 1919. Nationalism of Greeks, Armenians, and other Balkan nations were forged out of racial beliefs of ethnic superiority, the illusionary belief that Christians are better rulers than Muslims, and the nationalistic goal of territorial claims. In contrast, Turkish nationalism was formed out of a necessity to survive the attacks and destruction of other nationalists. This doesn't make nationalism rational in anyway, but nationalism born out of nation-building versus nationalism born out of self-defense, are distinctly different. Though sometimes it's hard to tell the difference. The destruction had forced hundreds of thousands of Turkish speakers to migrate to central Turkey and the many other ethnic groups along with them that were thought of as inferior by Greek and Armenian nationalists. This devastation fueled Turkish nationalism and the people's trust of Mustafa Kemal Ataturk grew as the enemy drew closer to central Turkish province of Ankara. The Turkish Grand National Assembly, which was newly formed in opposition to the Ottoman government in Istanbul that was trying to appease the Allied Powers, had at first tried to restrict the authority of Mustafa Kemal Ataturk. However, as the Greek army had marched from the Western coastal city of Izmir to the province of Ankara where citizens of Ankara city could hear the guns and artillery of the Greek army, the Assembly gave all their authority to Mustafa Kemal Ataturk. The problem of Turkish nationalism was that the people of the Turkish nation were of a wide variety of ethnic groups, genes, and races. As such, Turkish nationalism was inclusively defined as either anyone who speaks Turkish or who calls him or herself "a Turk." Mustafa Kemal Ataturk's speeches clarified that everyone knows the many different ethnicities and religions their ancestors are from, but to create unity and success, people need to put aside their differences and past history as it only fuels hatred and revenge. Mustafa Kemal Ataturk said that no matter what ethnicity or religion as long as you want to be a Turk you are a Turk. The common traits of the Turkish nation are simply language, culture, tradition, common citizenship and activity, very similar to the make-up of the United States. Unlike European, Arabic, and Balkan nations, there are no exclusive ideas involved in defining a Turkish national. Not having a certain common trait does not exclude one from calling oneself a Turk. The religious make-up of the majority of Turkey being predominantly Islamic is not a mark that excludes non-Muslims from being Turkish. The religious make-up is an effect of forced migration of Muslims from Europe and the Caucuses into Turkey, and the ethnic cleansing of Jews by Christian nationalists including Jewish migration to Israel, and the internal political problems of Turkey in comparison to more successful and richer European nations in which Christians are attracted and migrate to. Regardless, there are still a considerable number of Christians, Jews, and other religious people in Turkey today. Many Armenians and Greeks in Izmir and Istanbul have remained in those cities for centuries and no one has tried to displace them. Jonathan, you raise some valid points, but I feel your analysis would benefit from more nuance. I believe you are correct to point out that the CPU were generally Ottomanists and secularists, but not Turkish nationalists. I wonder what your basis is, however, for stating the problem was "that there were too many ethnicities and religions underneath the Ottoman Empire that really did not care much about the Ottomans." There's evidence that many non-Turks, non-Muslims were quite content to think of themselves as Ottoman, according to labor historian Donald Quataert (The Ottoman Empire: 1700-1922, Cambridge: Cambridge University Press, 2005). One interesting case study is by Janet Klein, and looks at Kurdish societies in 1908 and 1909. She finds that many Kurdish organizations, especially those based in the capital, are very clearly imagining themselves as Ottoman citizens, seeing Kurds as a nation among others in a multi-ethnic Ottoman state. On the other hand, some organizations, especially the ones in the provinces, are much more resistant to Ottoman reforms, as they were eroding local power structures and local authorities in the creation of a more centralized state. She also notes that Kurdish nationalism as such was NOT widespread until after WWI ("Kurdish Nationalists and Non-Nationalist Kurdists: Rethinking Minority Nationalism and the Dissolution of the Ottoman Empire, 1908-1909" in Nations and Nationalism 13 (1), 2007). The Ottoman Empire, Muslim-dominated but mostly Christian and wildly diverse, lasted hundreds and hundreds of years. As there appears to have been very little inter-communal violence prior to the 19th century, I do not think we can say that the multi-lingual, multi-religious nature of the empire was the inevitable cause of its collapse. A lot was going on at that time. As far as Turkish nationalism is concerned, you may be right that, for many, the definition of "Turk" is inclusive. However, this too can be more complicated on the ground. The words "Happy is the one who calls her/himself a Turk", inscribed large upon the hillsides in Kurdish-inhabited areas, do not necessarily read as an invitation to a common citizenship, but instead come across as either a declaration of ethnic hierarchy or a negation of the lived reality and felt identity of many people. One source of insight into how the abstract notions of citizenship and ethnicity impact peoples lives is an article by Anna Secor, who interviewed women to find out about how notions of citizenship, Kurdishness and Turkishness, gender and space played out in the lives of Istanbulites ("There is an Istanbul that Belongs to Me": Citizenship, Space and Identity in the City" in Annals of the Association of American Geographers 94(2), 2004). For all the best intentions of the best-intentioned proponents of "Turk" as an inclusive identity, I see little evidence that the term has shed its ethnic associations for most people in Turkey. Many who wish to see themselves a equal citizens are now choosing to identify as "of Turkey" (Türkiyeli) rather than "Turkish" (Türk). Others feel so thoroughly disenfranchised by the state that they find it hard to trust any of its promises of full and equal citizenship. I think these concerns need to be seriously considered and addressed before we can tout the universality of the "Turkish" designation. What warms my heart is when people can identify with one another WITHOUT insisting that the other first call her/himself a Turk, like the crowds of people who marked along Istiklal Avenue with placards saying "We are all Hrant Dink. We are all Armenian." I believe that attempts to take a more nuanced view of the motivations of those who have been either celebrated or condemned as Turkish nationalists are quite worthwhile. However, I don't think it's necessary to come down to heavily on the other side in compensation. I think your site would be more credible if you offered some antidotes to the more hard-line Turkish nationalist beliefs, as well as the hard-line Armenian nationalist ones. @Christina I can see your point that some may not identify with it. This is true in the United States too, there are immigrants who will come to the US, but won't identify themselves as Americans, but will identify themselves with wherever they came from. Assimilation doesn't always happen. Especially in Turkey. Some Kurds will always think of themselves as Kurds. Some are nationalists. Some are racist. They won't like the label of being a Turk. That's not the fault of Turkish nationalists, because Turkish nationalists have not alienated non-Turks. Ataturk has always talked about the multi-ethnicity of the country and has told people to forget the past and forget past ethnic groups and instead to consider themselves as all Turk. This is very similar to how Americans are all part of American melting pot. There is no need to consider one's ethnic group since you are all from the same country. This sort of teaching is very very common in Turkey. They don't differentiate or promote racist/ethnic teachings because we are all a mix. However, the reason there might be racism between Turks and Kurds etc, today, may be due to PKK terrorist attacks and Kurdish protests of Turkey or the government. They feel as if they have given so many rights to Kurds only to be betrayed and treated like as if they had oppressed Kurds, which they don't believe they deserve (and rightfully so, because there are many Kurds who embrace their Turkish citizenship, and have great careers or reach fame and fortune in Turkey, even though everyone knows they are Kurdish). However, I agree there are some Turkish nationalists who take it too far. Promotion or supporting of laws like Article 301 has caused great harm to Turkey. Criticizing others for not being in love with Turkey is never appreciated.